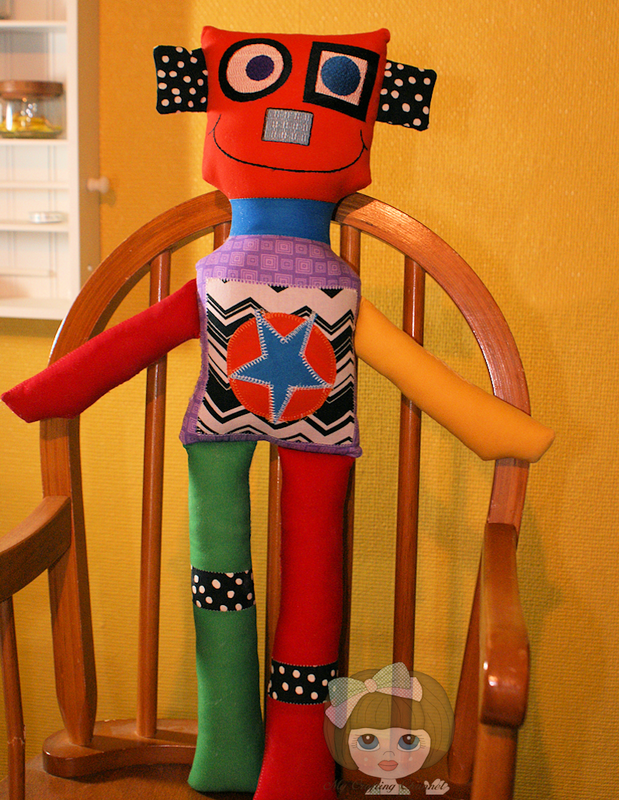 My Crafting Channel: 2 Creative Chicks Challenge #15 "Create A Doll" Extra Posting - Isaac the Robot 22"
2 Creative Chicks Challenge #15 "Create A Doll" Extra Posting - Isaac the Robot 22"
It's the last week for the Create a Doll Challenge over at 2 Creative Chicks. When I ran across this pattern I knew I wanted to make one of these for Corbin. It is 22 inches of pure cuteness. The pattern called for cutting out all the face features. I wanted to embroidered the face. I love how it turned out. 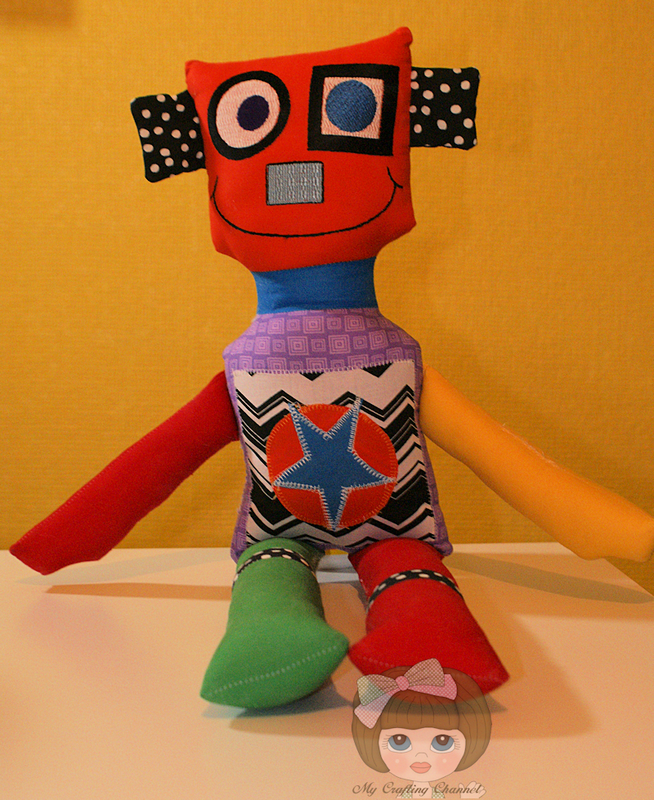 Love your other dolls, but the Robot one is so cute - great for a boy and has lots of texture and circles, stars and squares along with great colours for them to learn! Oh my...this robot is too darn cute!!! Issac is jut adorable! His face turned out awesome! Oh my gosh - how stinkin' cute is this little guy? 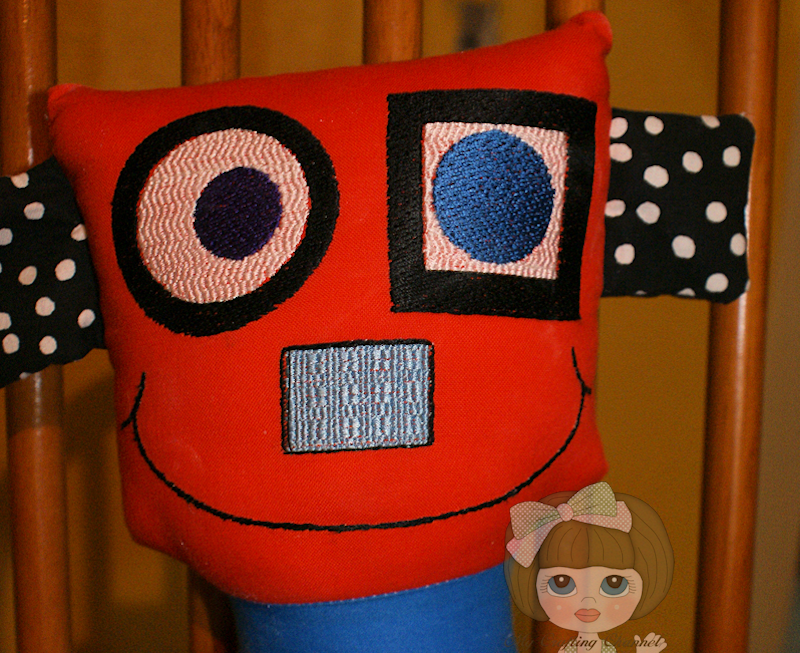 LOVE your fun, colorful robot, he's adorable! You are so RIGHT....pure cuteness! LOVE! 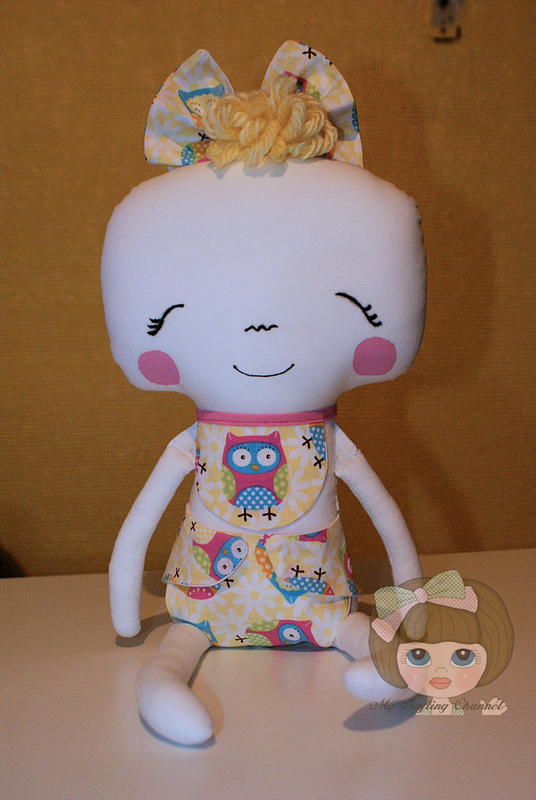 Another ADORABLE doll! I love your dolls!!!! Now aren't these cute!! Great job!! !